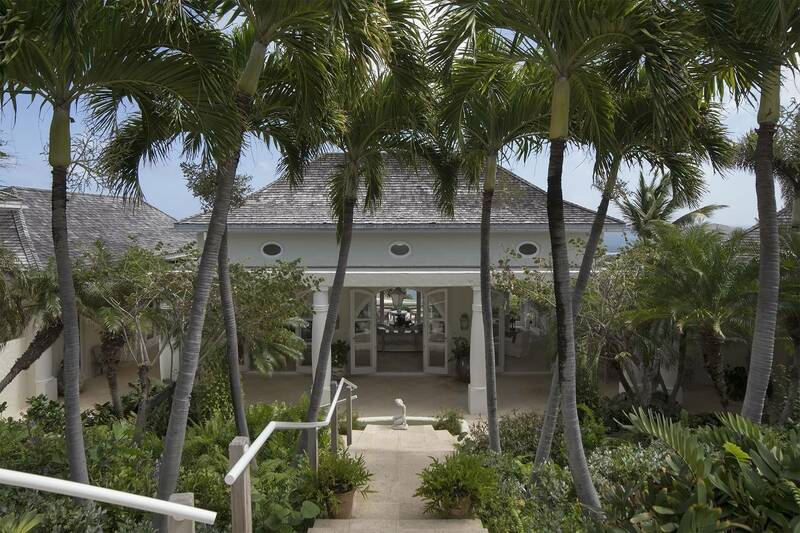 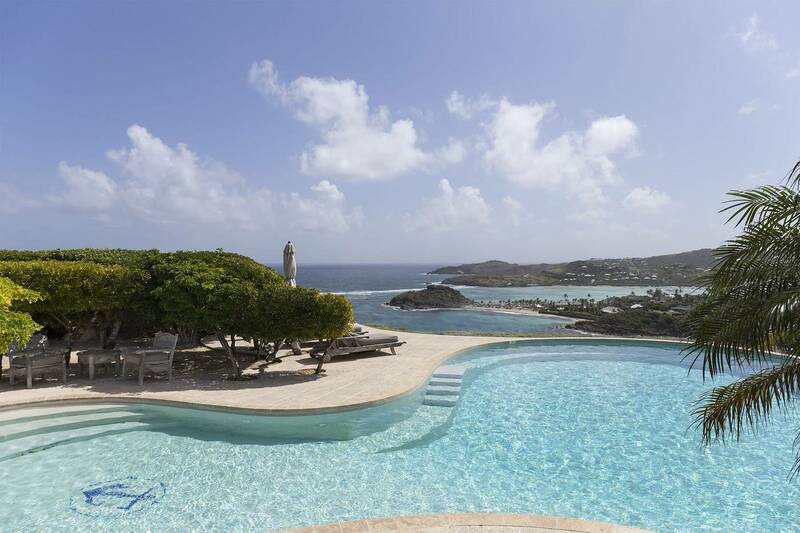 Dream About: A post-beach lunch on your terrace looking out to a stunning view of Marigot Bay. 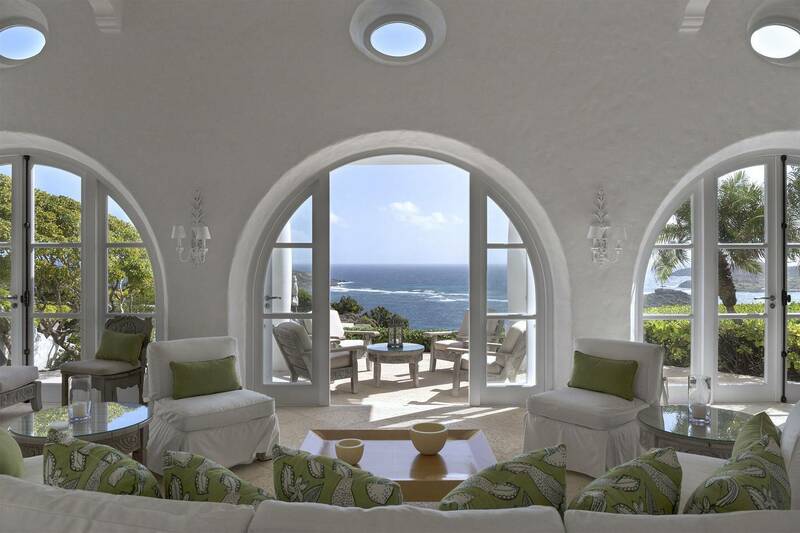 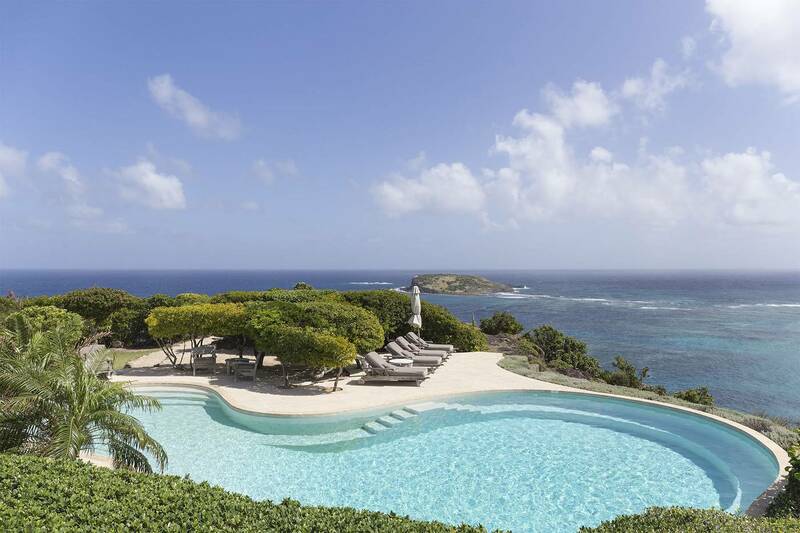 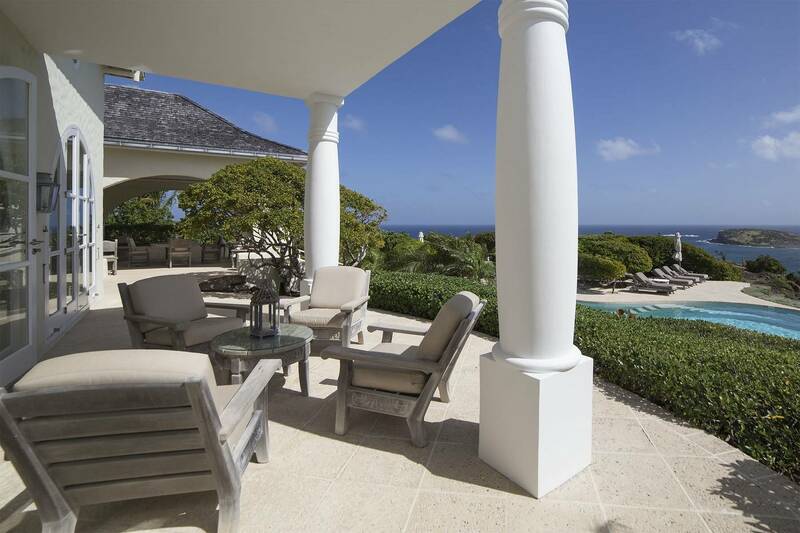 Well located in Mont Jean, this stunning three bedroom villa is elegant and stately, yet radiates an island-vacation ambiance. 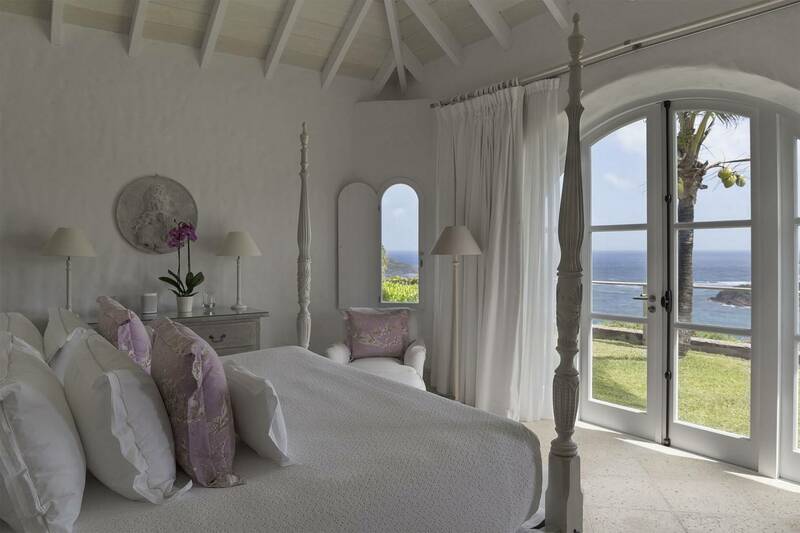 It’s furnished in a comfortable feet-up-and relax style, with artfully placed antiques. 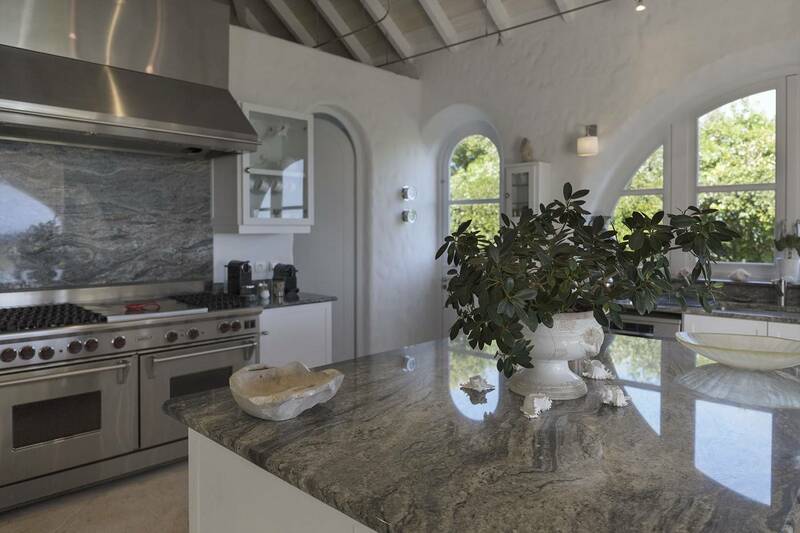 A cool white palette is featured throughout. 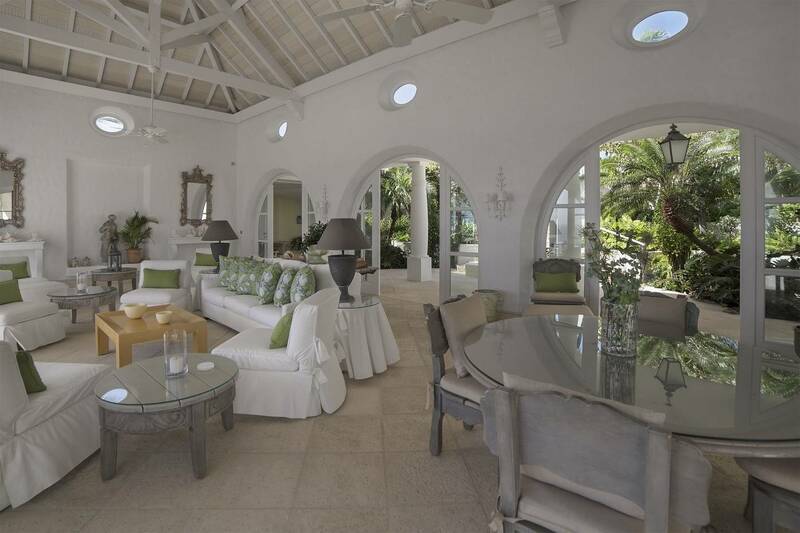 The entrance boasts a dramatic double staircase leading to a spacious living room overlooking the pool and out to a panorama of Marigot Bay. 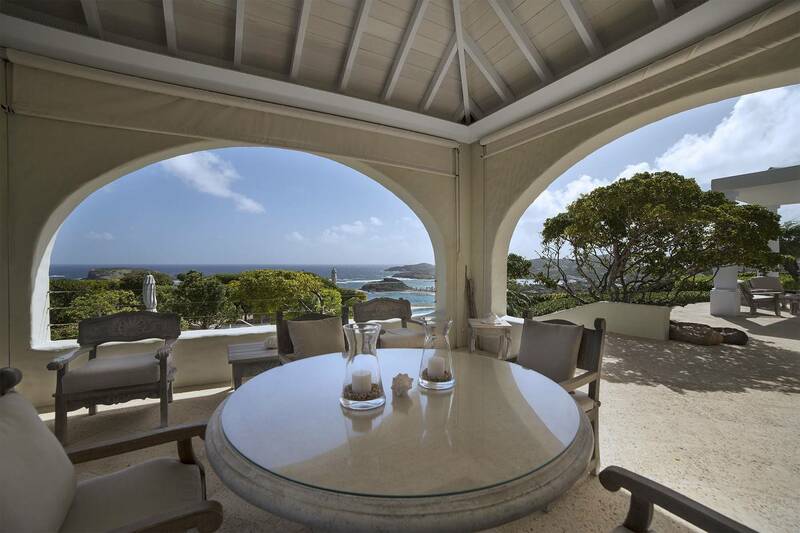 Its sleek chef-worthy kitchen opens to a covered dining terrace that encompasses the beautiful view. 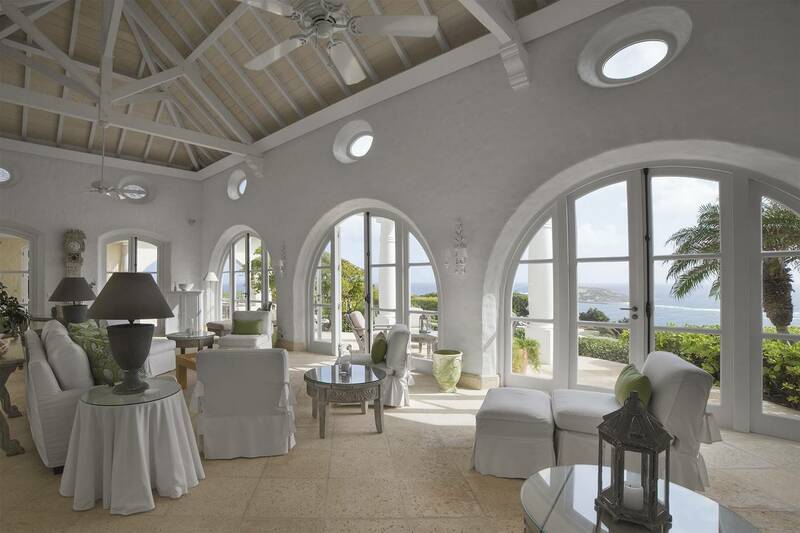 This villa is ideal for entertaining. 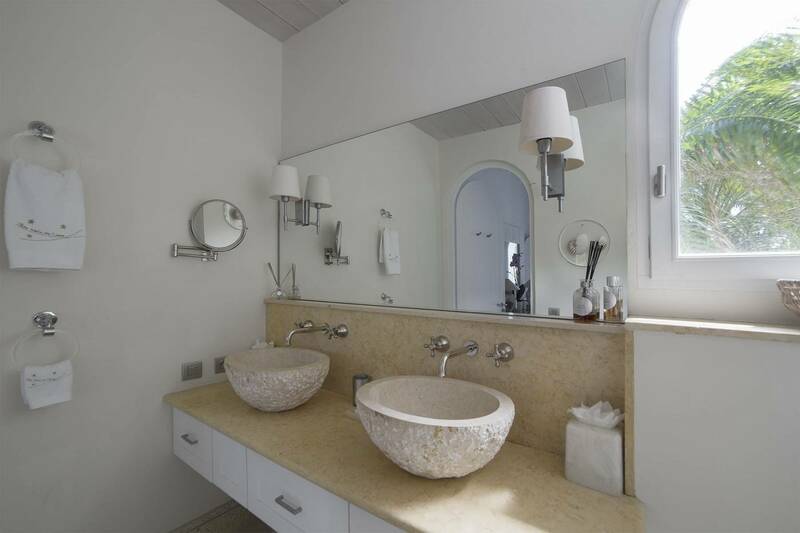 All three bedrooms have en suite baths with indoor and outdoor showers. 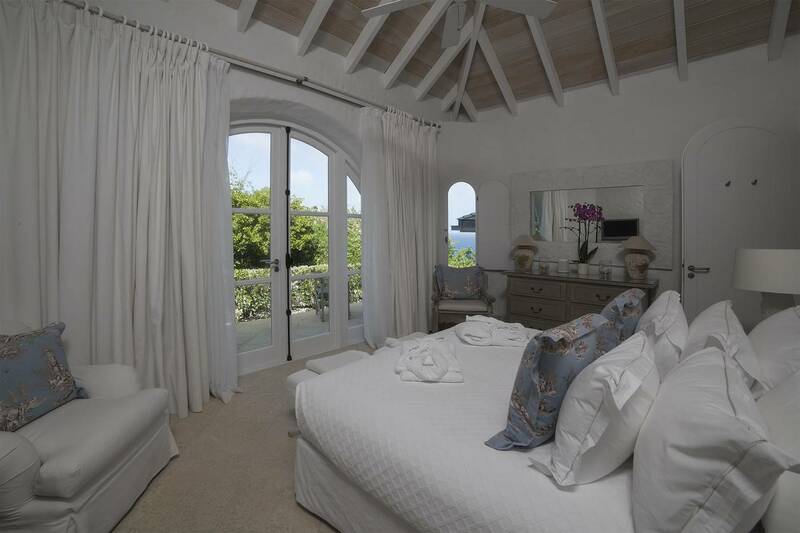 The master, with its 4-poster king bed, has his-and-her bathrooms. 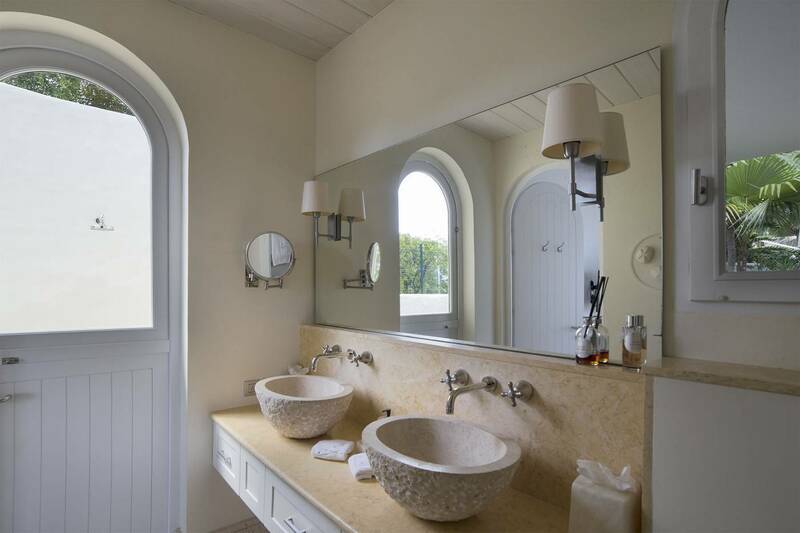 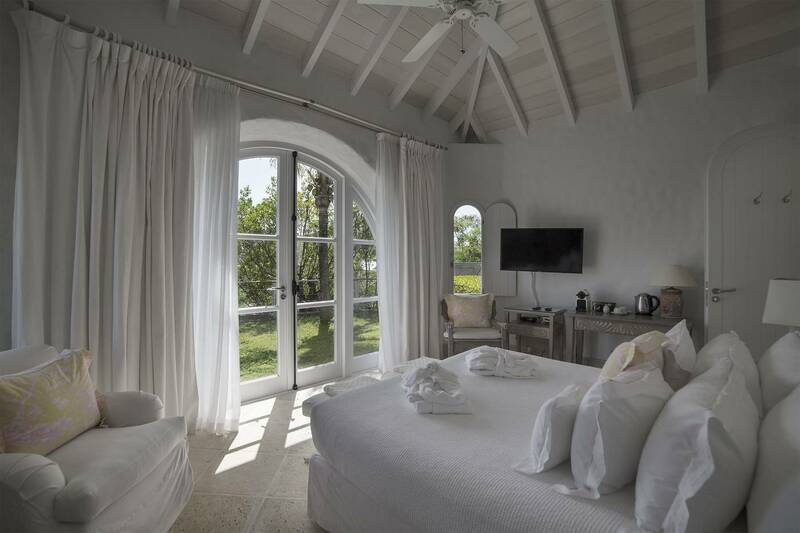 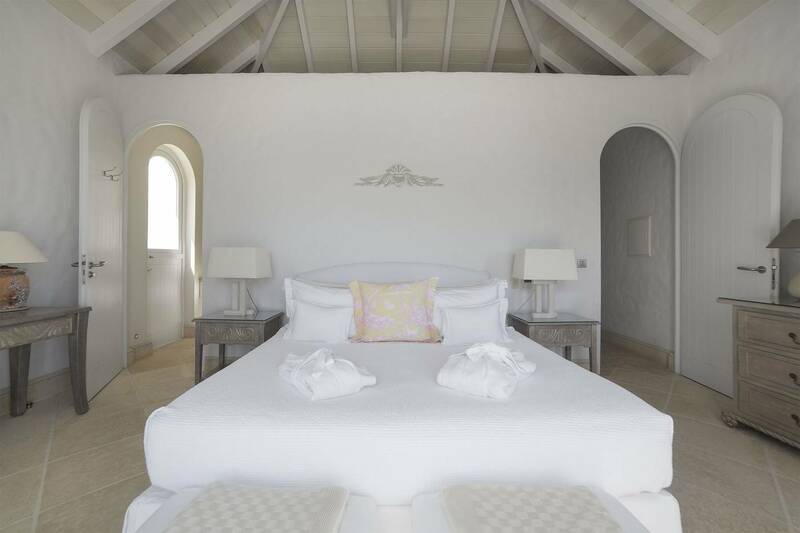 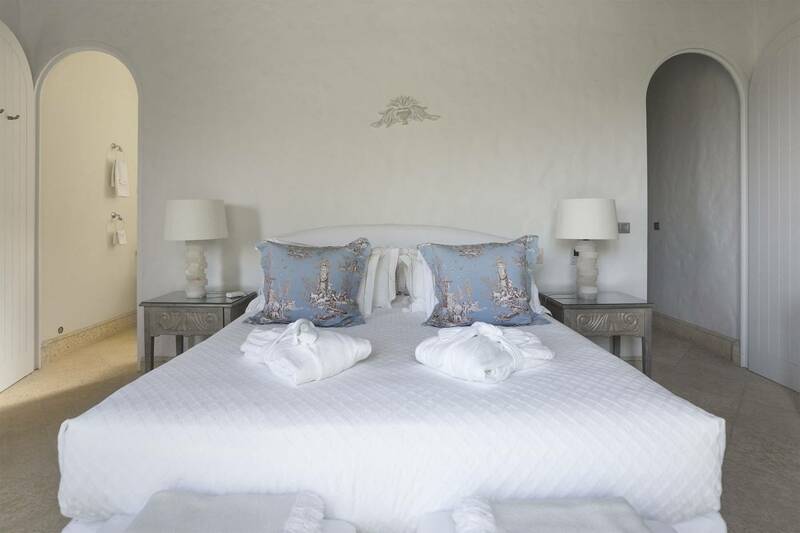 The second bedroom has a French king bed; it connects to the master externally via a loggia that meanders through a tropical garden with a fountain. 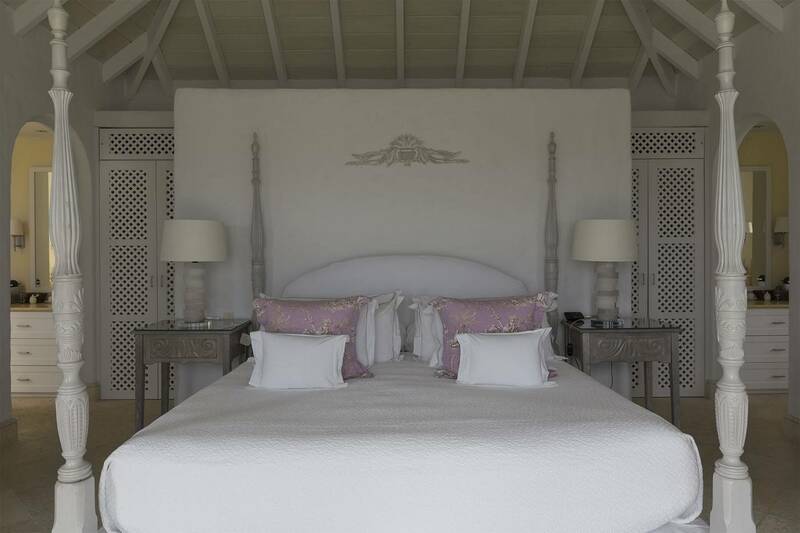 The third bedroom (French king) is above the garden in a separate bungalow with a private terrace. 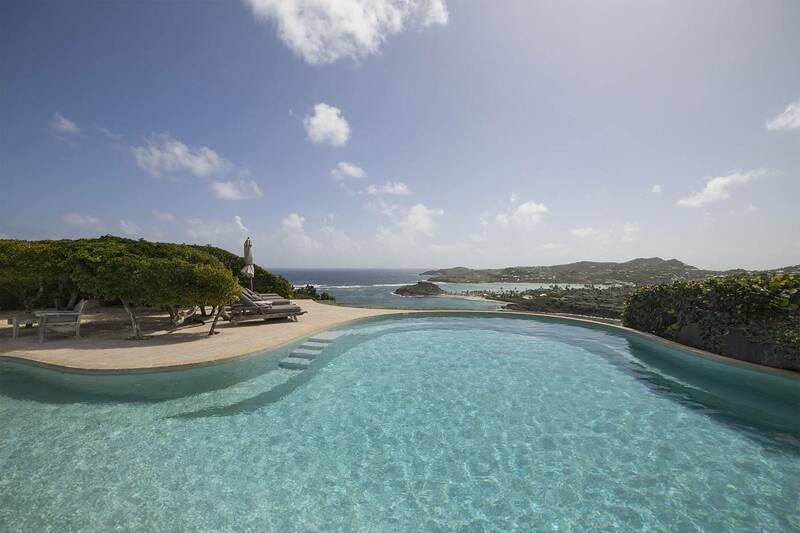 A large solar-heated pool – nine feet at its deep end ? 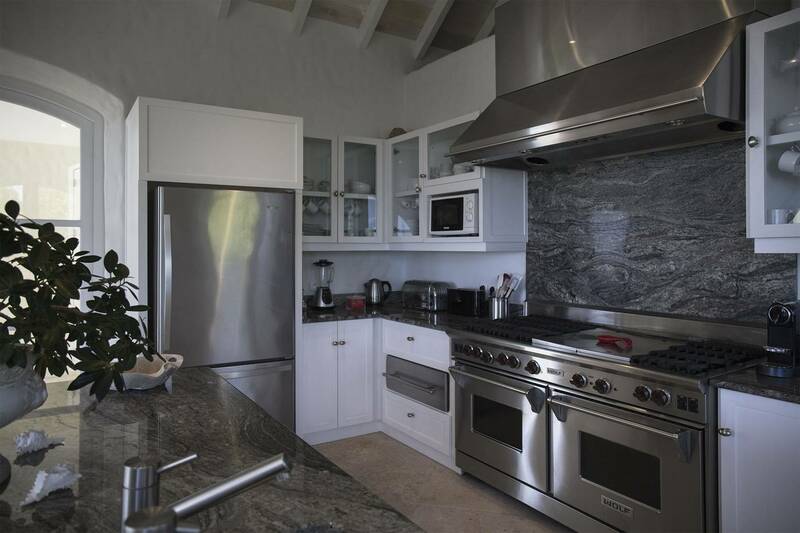 is central to the property and lushly landscaped. 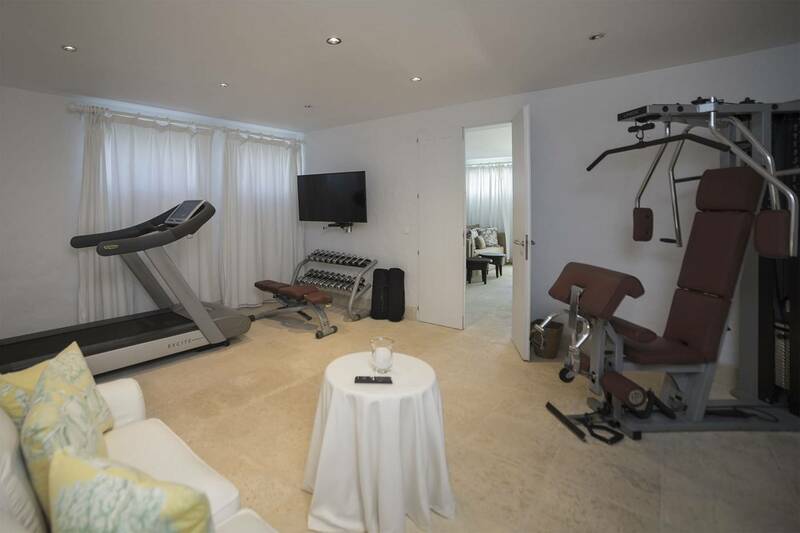 There’s a lower level air-conditioned TV room which includes an office area. 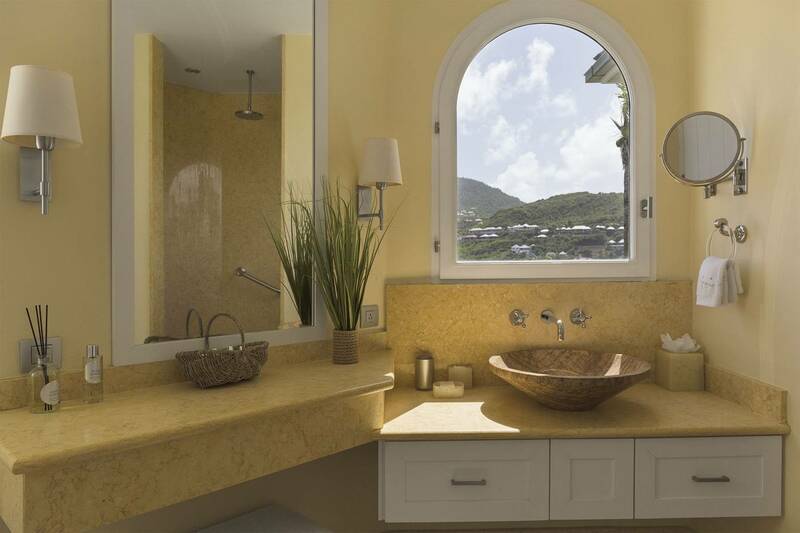 This level also has a gym and an adjacent full bath. 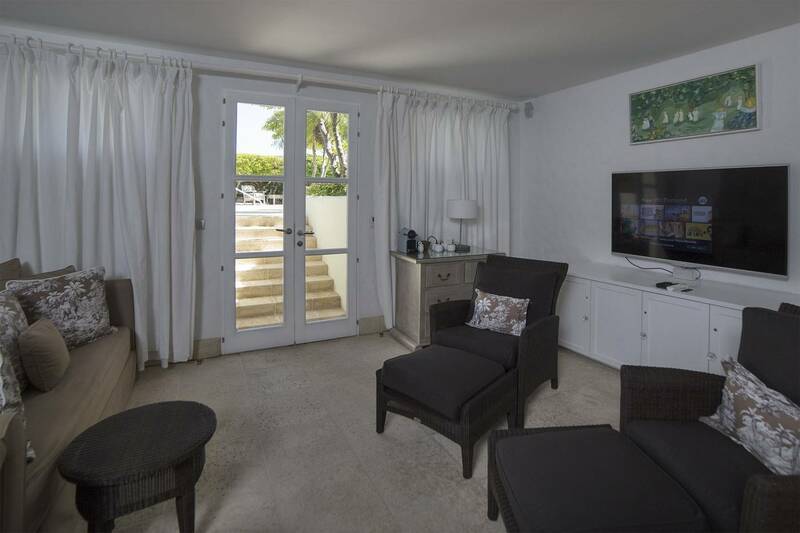 The TV room has a sofa bed where an extra guest can be accommodated with prior approval and at an extra charge. 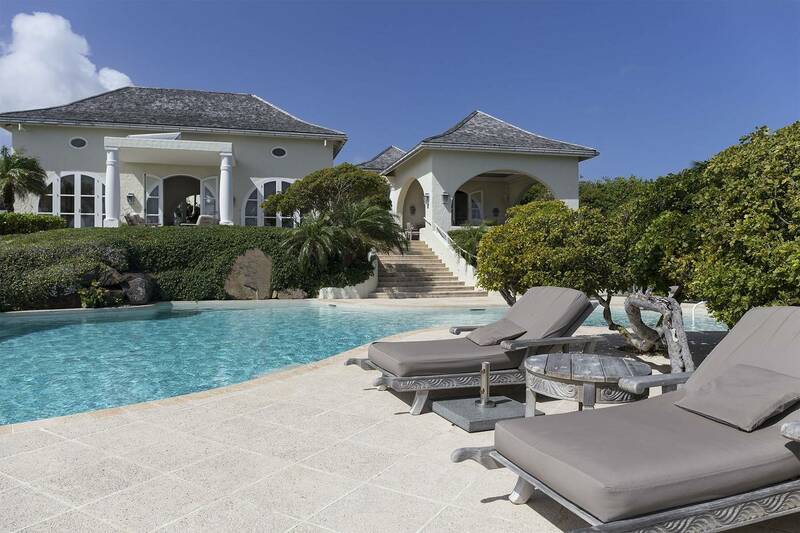 Lushly landscaped elegant villa with 3 en suite bedrooms, living room, TV room, gourmet kitchen, office, and gym with a full bath.